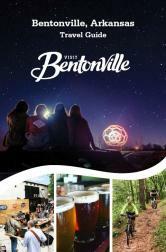 Established in 1836 as the first county in the state of Arkansas, Benton County and Bentonville have maintained their historic charm while transitioning into a progressive community. Bentonville is home to many historic buildings and homes, including the beautiful Peel Mansion Museum and Heritage Gardens, the Italianate villa styled home was built in 1875 by Colonel Samuel West Peel, the first Arkansas native to be elected to the United States Congress. Take a walking tour of the heart of the city and enjoy exploring the historical homes and statues along the way. Also within Bentonville’s vicinity is the historical Pea Ridge Military Park, just five miles away from downtown.